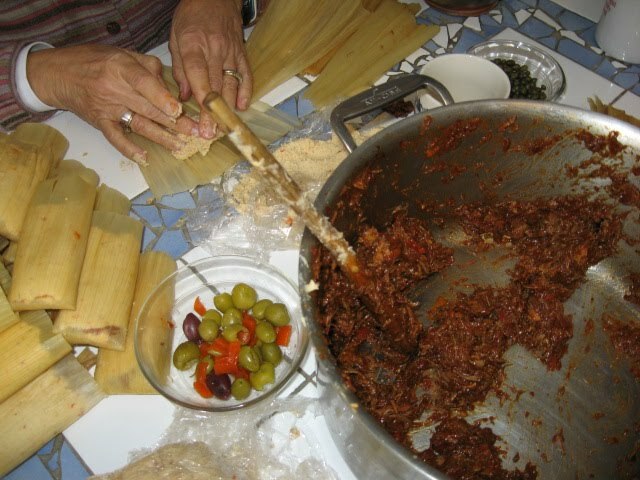 A morning of tamale making | Where in the world are the Uricks??? steamed and cooling off on the door step. tamale construction followed by delicious deconstruction and washed down with a glass of sangria! aaaah! A huge thank you to Nan, who hosted this and did all the prep work. 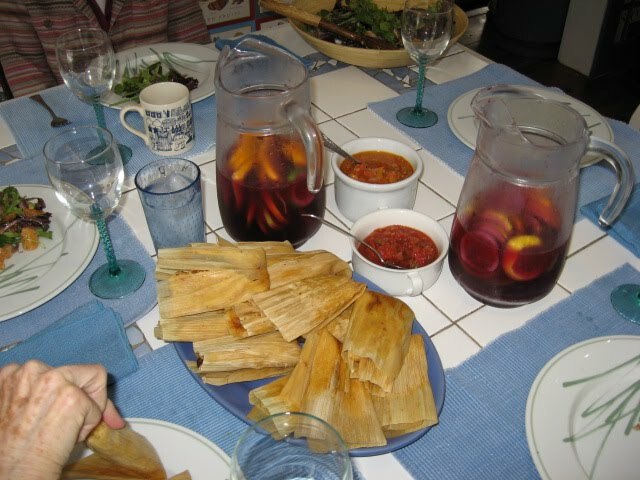 This entry was posted in Belfast, Maine, Cooking, FOOD, Friends and tagged Cooking, tamales. Bookmark the permalink. Yes, thanks to Nan who did all the prep!